Fans of Guerlain gather around to read the news about the newest spring 2016 women fragrance which will be launching later this month. Chateau de Versailles and house of Guerlain have joined forces in a new collaboration that will result in the restoration of the royal apartments of Versailles. 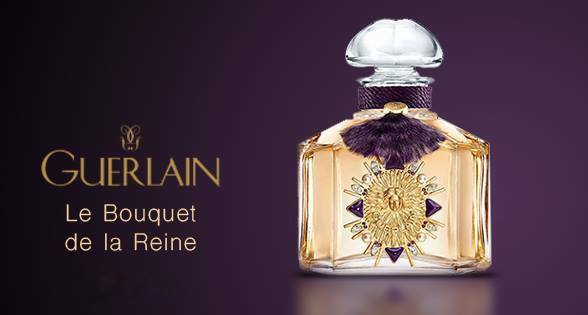 In order to make this happen, Maison Guerlain launches Le Bouquet de la Reine (The Queen’s Bouquet), a new yet to be launched fragrance that will be available in a limited edition during the spring season and only through subscription. 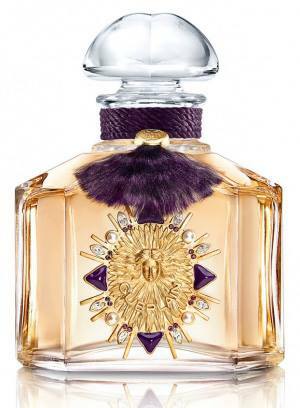 The nose behind Guerlain Le Bouquet de la Reine is the famous perfumer Thierry Wasser, who was inspired by the gardens of Versailles and Trianon castles. The perfume is issued in a 125 ml size of the classic Quadrilobé bottle, a reincarnation of the bottle of Rue de la Paix from 1908. It is issued by verreries Brosse (founded in 1892 in the Valee de la Bresle), this time decorated with the Sun King medallion, representing the radiance of Louis XIV who originally moved his court from Paris to Versailles in order to give it greater independence and to disassociate it from the wars of the aristocracy. The sun medallion, used by Louis XIV, was inspired by the sun-god Apollo, who precided over the arts.